ESTE ES EL SEGUNDO NIVEL CON QUE CUENTA EL CLUB DE TAREAS "LA ESCUELITA". EL NIVEL DE SECUNDARIA ES BÁSICO PARA LOS ALUMNOS YA QUE EN EL REFORZAR TODOS LOS CONOCIMIENTOS PREVIOS PARA CONTINUAR CON SU INTERACCIÓN EN EL NIVEL MEDIO SUPERIOR INMEDIATO. LOS OBJETIVOS QUE SE PRETENDEN ALCANZAR SON QUE EL ALUMNO AMPLIÉ SUS CONOCIMIENTOS Y HABILIDADES ADQUIRIDOS EN EL NIVEL PRIMARIA ASÍ COMO CONOCER LAS OPCIONES EDUCATIVAS PARA CONTINUAR CON SUS ESTUDIOS. 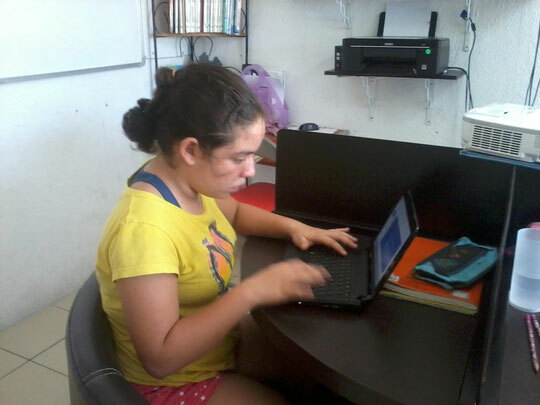 TODO ESTO LA SABEMOS EN CLUB DE TAREAS "LA ESCUELITA" POR ELLO, CONTINUAMOS CON NUESTRA LABOR DE FORMAR A LOS ALUMNOS EN ESTE NIVEL ESCOLAR, APOYÁNDONOS DE LA TECNOLOGÍA ADECUADA Y LAS INSTALACIONES OPTIMAS PARA DESARROLLAR MEJOR EL POTENCIAL DE LOS ALUMNOS. ¿POR QUÉ ES IMPORTANTE LA SECUNDARIA? ES POR DEMÁS IMPORTANTE QUE EL ALUMNO DE SECUNDARIA TENGA CLARA LA IDEA DE QUE ES LO QUE DESEA PARA SU FUTURO, ASÍ COMO TENER EL INTERÉS PARA MEJORAR SU EDUCACIÓN Y TAMBIÉN AL VERSE INFLUENCIADOS POR LOS DIFERENTES AGENTES EN LA EDUCACIÓN PUEDE GENERARLES DESINTERÉS O INCLUSO EL MISMO INTERÉS. POR ELLO, NUESTRA LABOR TAMBIÉN RADICA EN ESE ASPECTO DE MOTIVACIÓN PARA EL ALUMNO, ES UNA PARTE QUE NOSOTROS COMO CLUB TRABAJAMOS CON EL ALUMNO QUE ES EL INCULCARLES UN GUSTO POR LA SECUNDARIA ASÍ COMO AYUDARLOS CON LA TRANSICIÓN HACIA EL NIVEL MEDIO SUPERIOR.